5.0 out of 5.0 Very honest by PaulaM. SingleMom from Martins Ferry, OH | March 12, 2014 Our family car got totaled and I am a single mom who knows nothing about cars. Economy Auto Sales was recommended to me by 5 different local families that I highly respect. I also was told that the owner (Eric) was a Christian and that made me feel more at ease. As I was shopping at their lot and talking with the salesperson (Jay), I was also picking the brains of a few friends that were mechanics. It all lined up together on what they were saying and what Economy was telling me. Jay also steered me away from a vehicle that he felt would not be suitable for out family. It cost more than the car he ended up selling us. What finally sold me on this company was when Eric sat with my son and I one evening and talked about other cars we had seen at different lots. He actually told me that one of the cars was a really good car. What he didn't know was that my son and I did not feel comfortable with the owner of this car lot and had already found he lied to us 2 times. The fact that Eric would admit it was a good car for our needs was very surprising to us. I continued to bombard them with questions and both were always patient with me. In my opinion, yes, they are car salesman and yes they also need to make a living, but what I just listed above speaks volumes for not only the company, but as good, Christian men. They could have taken advantage of me and they chose to do the right thing and help a family that was desperate and had a great need of a reliable vehicle that would last them awhile. We are very grateful for our car and give praises to God for bringing this company and these men into our life. 4.0 out of 5.0 FAIR DEAL ON MY GOLD 2005 HONDA CRV by DS from Pittsburgh, PA | October 2, 2013 Jay and Eric were pleasant to deal with. If they know you are coming to see a specific vehicle, they will hold it and not sell it out from under you. That was great since this happened to me twice before and I was coming from Pittsburgh. Also it was no problem for us to take the car to a dealer to have it checked out mechanically. We are happy with our purchase thus far. ***** 5 star reviewGreat customer service and easy to deal with. Smooth transaction, very accommodating. Thanks guys. Definitely 5 star. A great place to buy a car. Jay was very helpful. Thanks again! I had called Eric Monday morning and asked him to hold a car for me to look at after work, with my husband. He said he would. When we got there, he had the car on hold, and told me that 10 minutes after I called, someone else called that had looked at it already and wanted to come talk a deal about it. He said he had promised to hold it one day. I did buy the car, but what impressed me the most, was that Eric kept his word to me. In this fast paced world we live in, most people would have taken the sure money, over a maybe. I was really blown away, by the integrity shown by this dealership. We couldn't have been treated better. I highly recommend dealing with this company. Dan via CarGurus Aug 23, 2013 ***** 5 STAR REVIEW It was nice to deal with Economy Auto Sales. Very staightforward and no pressure. The car I purchased was what I was looking for and maybe a little more. I would reccomend looking at Economy Auto Sales for your next vehicle purchase. The guys at Economy Auto are awesome. I bought 2 cars from them within a year. I already told my wife I'm buying from Economy from now on instead of buying new. Great Customer Service &Easy to deal with. Smooth transaction. Very accommodating. Than you very much we love the Suburban. 5.0 out of 5.0 MY 4th VEHICLE FROM ECONOMY AUTO II by Rich from St. Clairsville, OH | December 17, 2013 I just recently purchased my 4th vehicle from Dave and John at Bridgeport location. I've never dealt with any other dealership where I have felt as comfortable and treated as well. You as the customer are...." number one" @ Economy Auto Sales. I give them 5 STARS. When we looked around the NC Raleigh Triangle area, we decided to buy out of state to save money. We saw economy auto sales on Cars.com. We purchased a one owner CARFAX Certified 2011 Honda Pilot. Excellent sales team with a NO pressure buying experience. Very fair & honest. I would highly recommend buying here. We would enjoy buying again from this dealer. Thanks! The sales team and owner are wonderful - no hassling or pressure to buy. We did purchase a vehicle and days later had a minor issue which was not covered by the warranty. Economy took care of the problem regardless! They showed great integrity and care toward us as their customers. I would buy from them again in a heartbeat! 5.0 out of 5.0 2009 Chevy Malibu by Jordan S from Bellaire, Ohio | March 10, 2014 I recently purchased a car at economy auto and the whole process was made very easy because of the owner, Eric. He was very knowledgeable about the car I was interested in and was very helpful with everything. Did you find this review helpful? ***** 5 stars Excellent customer service, very honest. Their top priority is customer satisfaction. Highly recommended. by The Analyst from Dillonvale, OH | September 10, 2015 My wife and I bought a 2012 Chrysler Town and Country off of Eric at Economy Auto in July. Not only did he sell this vehicle to us under book but also under the trade in value. After purchasing, we had a service engine light come on and he repaired for us at no charge even though it wasn't covered under warranty. Bottom line...best used car dealer to buy from. 5.0 out of 5.0 Excellent dealer by Quinn c from Martins ferry ohio | February 20, 2014 I was looking for a used 4 wheel dr SUV. I met Eric the owner who was extremely helpful and pleasant to deal with. Very easy process as far as test drive and paperwork. He even help out on the price to meet my needs. I would highly recommend to family and friends alike. ** 2 stars To much for the truck. 5.0 out of 5.0 Economy Auto Sales II - why go anywhere else? 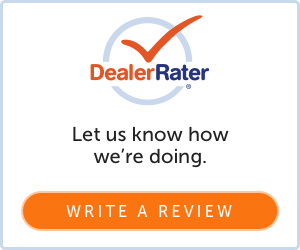 by joejrx from St Clairsville, OH | December 18, 2013 I think I know why Dave sells so may cars; he has good product, he gives great no-pressure service, and the cars are priced right. We purchased cars over a period of a few years for our kids to take to college. Dave was able to find my daughter the perfect vehicle for her. Later my son was hoping for something a little sportier and again, Dave found a nice car for the right price. If you are looking for a used vehicle with good quality and at a good price, go talk to Dave at Economy Auto Sales II in Bridgeport. You wont be disappointed. 5.0 out of 5.0 Integrity by Micah from Pittsburgh, PA | July 13, 2013 My paper work was processed very quickly and efficiently. These guys are great, and they are not typical salesmen out to pull something over on you. While I was there purchasing my truck 2 other buyers came to look at vehicles.. Both buyers were buying 2ND AND 3RD vehicles from Economy!! I think I'll be back. I had a great experience buying my 99 dodge truck from this lot. What impressed me was the honesty and integrity of the salesmen working there. They don't sell things out from under you if you are interested in a vehicle. Great Company. Dave always treats us right. If its for our kids or anything else, he is always willing to go out of his way to find what we need. Very professional service. Inventory online was TRULY what they have on the lot. Didn't waste any time because the photos and description was exactly what I saw online. Super great price, honest about cosmetic issues, quick service. Will very certainly go the economy first when looking to purchase a car again. I will recommend Economy Auto Sales to anyone looking for an affordable used car. Upfront pricing, no pressure sales, knowledgeable about their vehicles, and very friendly! Actually enjoyed the car buying experience. Thanks so much! Happy Customer. I have purchased 6 cars from Dave and highly recommend him. If he doesn't have what you are looking for, he'll find it for you. Competitive prices and great service. Will go back again and again. ***** 5 star review Eric and his staff do a great job. We have purchased multiple vehicles. Eric takes the time to listen so we get the right car for our needs! ***** 5 star review Jay and Eric helped me with the purchase. Test drove and checked out the car over a few days. Excellent service and a real value for my budget. Thanks Economy! User Rating: 4 out of 5 stars I bought a truck last year from this dealer and I found them to be very reputable. The salesman was very knowledgable and friendly. They also had a free Car-fax with vehicle. Since my purchase we have returned to the same dealership to purchase a car for my wife. I would have no reservation recomending this dealer to anyone. Ed via CarGurus Aug 13, 2012 didn't know the vehicle even though it had been sitting on this small lot for over three months and was not willing to even consider lowering the price...sorry dude I would have bought this but I went elsewhere and did, your loss. Dear Eric, I really appreciated your kind response and superb customer service related to the reimbursement for the repair of the Malibu which was not covered under the warranty. I chose to purchase a used vehicle from you, as I had been told that you were an honest and fair business person, (which seldom seems to be true in the used car business). I also valued the information that you passed along to me about the local repair shops who can provide reasonably priced repairs and service. I would not have known that information and other way. I believe that people tend to tell everyone who will listen if they had a bad experience with a business or company, however they do not tell others when they have had a good experience. Be assured, I will tell others that Economy Auto Sales has exceptional customer service, and I would consider purchasing other vehicles from your dealership in the future. Thank you again for all of the time and effort that you put into addressing our needs. Sincerely, Datha K.
5.0 out of 5.0 Great Experience by Larry from Cambridge OH | December 27, 2012 This is a small lot but we had a wonderful buying experience here. No high pressure and lots of help. Very fast and professional paper work. They addressed all our concerns.